Yawns and walks in to see no one here. See cloud " what's up cloud!" calls out and walks over there with tidus and yuna. "Hey guys." says and walks to them. Tidus: any one up for blitzball? Tifa: what?! Come on Yuna! Yuna: no way! I'm not a blitzball player! Tifa: I ain't either but I will like to try though. Rolls eyes. "I not up for playing right now." Rolls eyes again. "Tidus you want to play a game?" "It's good to meet you to." says and yawns. Walks over to where Tidus is. Kadaj: oh sweet mother! I forgot to bring u the gift! Damn it. I will b right back! 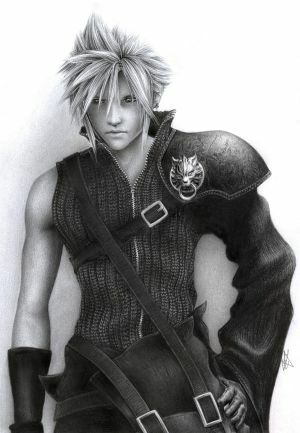 Cloud:"What do ya want to do?" Tidus:"Wanna play some Blitz Ball?" Cloud:"Nah I'm not in the mood." Yuna: cloud aren't never mind. "Your not the only one...." says and yawns.